We would like to provide you with a little bit of history about Reiki. It was developed by Mikao Usui in 1922 in Japan. At present time, Reiki is gaining a lot of popularity. In past decade Reiki Healing system has spread immensely throughout the world, particularly in America and Western Europe. 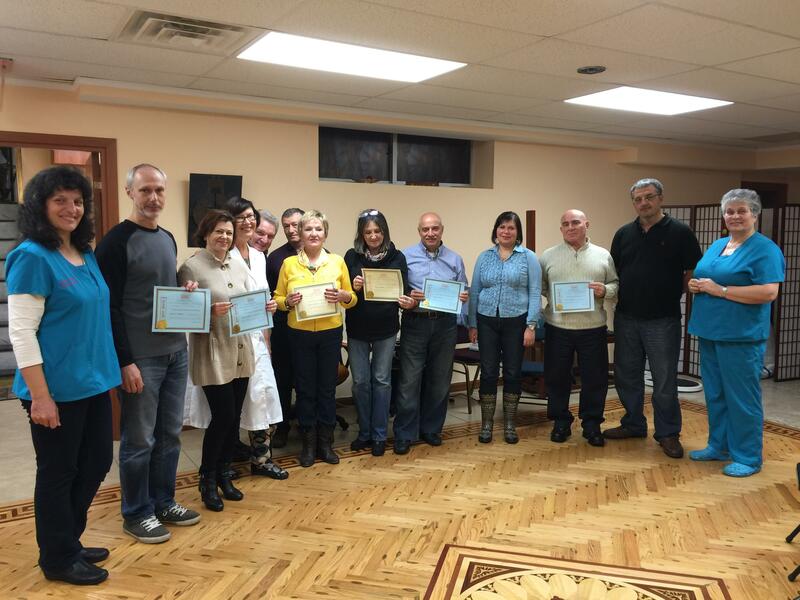 Around the world, Reiki seminars are attended by many people who are not medical professionals, increasingly more doctors as well as healing practitioners, physical therapists, nurses and even psychologists who participate on a regular basis. In the United States, Reiki was approved by American Nursing Association. It is practiced in many US hospitals. Going back to history, Reiki is a Japanese technique for stress reduction and relaxation. It also promotes healing. The world Reiki means universal life force and refers to an effortless technique of applying the all-embracing life energy of the cosmos to healing. Reiki can be used for treatment of over 40 types of illness and as First Aid. Reiki does not directly intervene in the body, but rather solely stimulates it to improve its natural functions as extensively as possible. Reiki stimulates the metabolism and the body detoxification functions. Reiki treatment energy flow from the practitioner hands into the person. The client is usually positioned on a massage table but treatments can also be given while the client is seated or even standing. The client remains fully clothed. The practitioner places her/his hands on or near the person body in a series of different hand positions. These include positions around the head and shoulders, the stomach, and feet. Other, more specific positions may be used based on the client’s needs. Each position is held for three to ten minutes depending on how much Reiki the client needs at each position. At AmitaUSA Holistic Center, The whole treatment usually lasts between 45 and 60 minutes. Dr. Tatyana Yakovleva is well known Reiki Master Teacher. Awarded the Best Acupuncturist in Brooklyn for 2014. She is been using Reiki in her practice and is teaching Reiki classes for the past 20 Years. At Amita Holistic Healing Center hundreds of students have studied various levels of Reiki from the First level to Karuna Reiki and are using Reiki in everyday life and in some cases as First Aid. Below please find pictures taken from Amita Holistic Center Reiki Seminars and Classes. Reiki has had a positive effect on all forms of illness and negative conditions. This includes minor things like head or stomach aches, bee stings, colds, flu, tension and anxiety as well as serious illness like heart disease, cancer, leukemia, etc. The side effects of regular medical treatments have also been reduced or eliminated. This includes the negative effects of chemotherapy, post-operative pain and depression as well as improving the healing rate and reducing the time needed to stay in the hospital. Reiki always helps and in some cases people have experienced complete healing which have been confirmed by medical tests before and after the Reiki treatments. However, while some have experienced miracles, they cannot be guaranteed. Stress reduction with some improvement in one’s physical and psychological condition are what most experience.